Transanal minimally invasive surgery (TAMIS) has led to renewal interest in the approach for local excision of rectal neoplasia and even en bloc total mesorectal excision for curative-intent rectal cancer surgery. TAMIS has been performed with and without endoscopic assistance and more recently with the da Vinci platform. 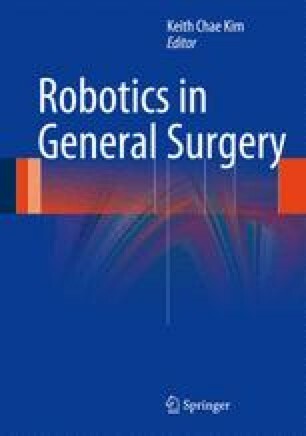 The technical success of robotic transanal surgery (RTS) for local excision of rectal neoplasia has set precedent for robotic-assisted transanal total mesorectal excision. These developments are rapidly evolving, and the role of RTS has yet to be fully defined.